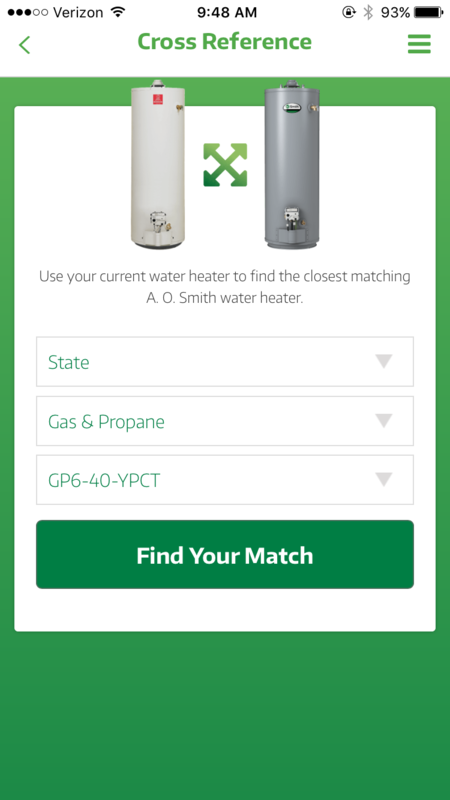 The A. O. Smith app is your companion tool to help you find the right water heater for your needs. Before you install a new water heater, you want to know that it’s capable of giving you the hot water that you need. We’ll help you find the right water heater for your household so that you can buy with confidence. Because your luxurious shower shouldn’t end until you say so. 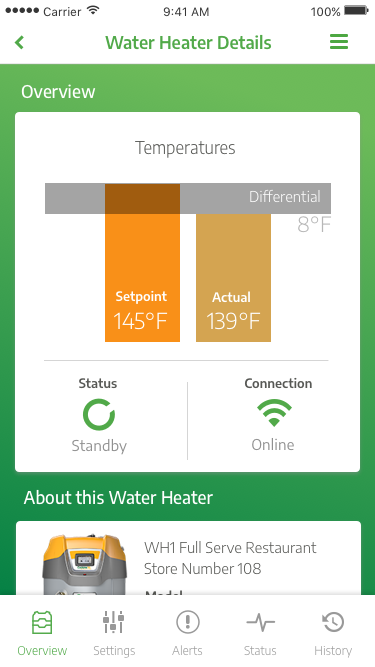 We ask you a few simple questions about your home’s hot water needs. Then we run a few calculations, and present you with a selection of water heaters that have been chosen just for you. Use your existing water heater to find the right A. O. Smith replacement. Simply select your current brand and model number and we’ll show you the closest matching A. O. Smith water heater. We’ll also show you a few extra options to help you find the right fit. 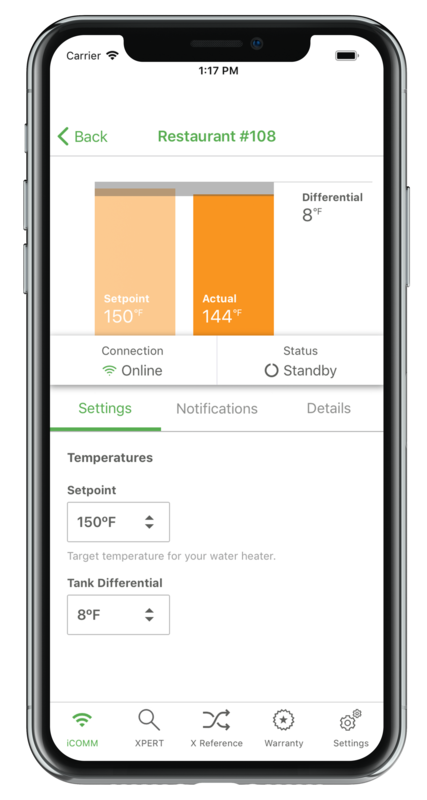 Lookup almost any water heater out there, and we’ve got a match! 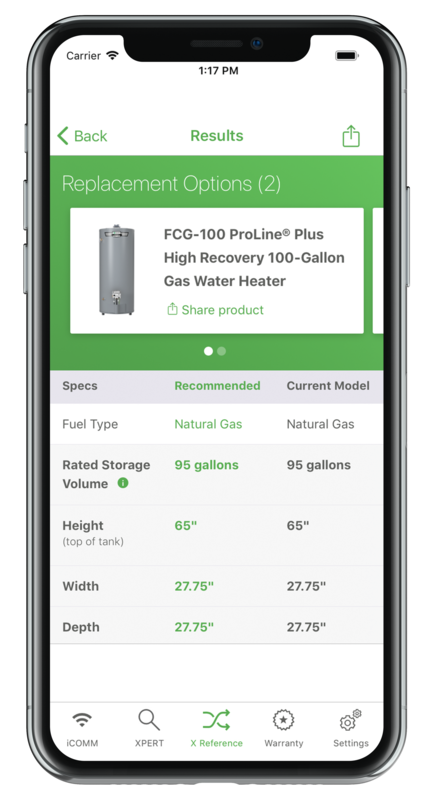 Our app still makes it easy for contractors to check the warranty status of an A. O. Smith water heater. 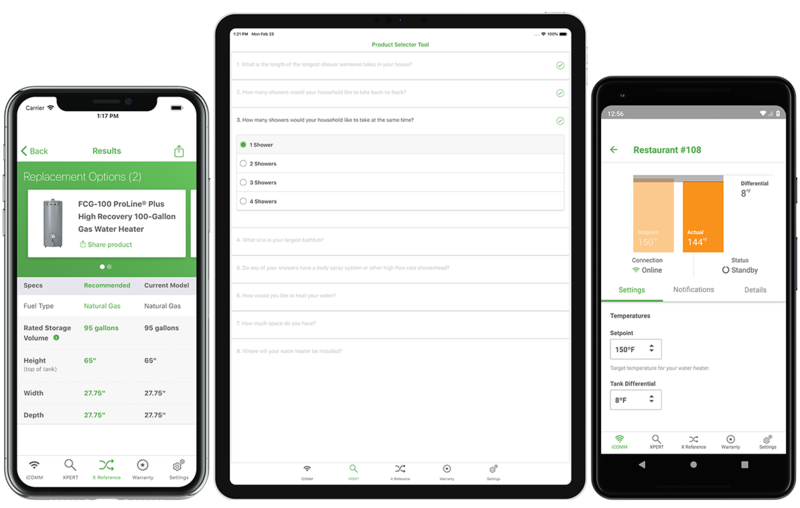 Simply enter the model number, and you'll have all of the information you need instantly in the palm of your hand.